Klubert + Schmidt produces at the Pottenstein location in the heart of Franconian Switzerland. 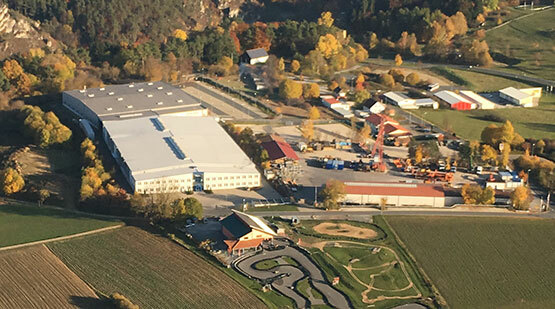 On a production area extending over 10,000 m², more than 300 employees are currently devoted to the smooth planning, development and manufacturing of high-performances throttle valve and exhaust flap systems. As an owner-run traditional enterprise, we have earned an outstanding reputation in the commercial vehicles industry. Large international corporations in the automotive industry as well as leading manufacturers of hydraulics systems have been among our loyal clients for many years.